Insane Frog Births: These Babies Greet the World From Mom’s Mouth and Mom’s BACK! I’d like to introduce you to two very special amphibians. One gives birth through its mouth, and was brought back from the dead. The other has given me terrifying nightmares since I was a kid. This is mainly due to the fact that it gives birth to live young from its back. Scroll down if you dare. 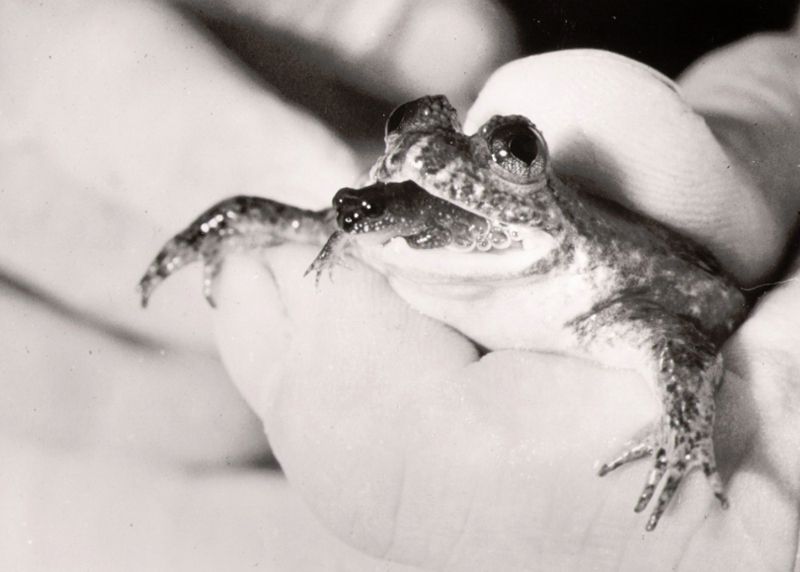 The gastric-brooding frog is famous for two reasons; it gives birth out of its mouth, and it was literally brought back from extinction. 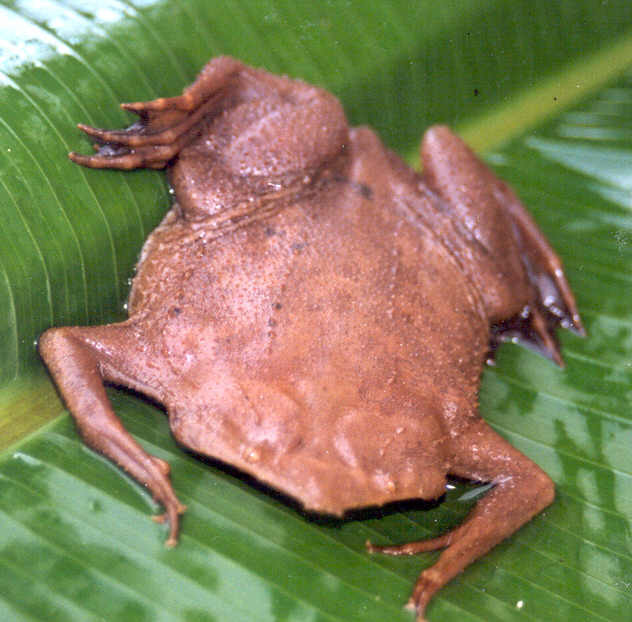 This unique species of frog is native to Queensland in eastern Australia. The female swallows her fertilized eggs and incubates them in her stomach for roughly six weeks. Don’t worry, she doesn’t digest them! Chemicals released by the eggs tells her stomach to stop producing acid and she stops eating. Around 20 to 25 tadpoles hatch inside her and the mucus from their gills continues to keep the acid at bay. Over the next six weeks, as the hatchlings grow and her stomach bloats, mom’s lungs collapse and she is forced to breathe through her skin. She then ‘vomits’ out her fully formed frog babies. 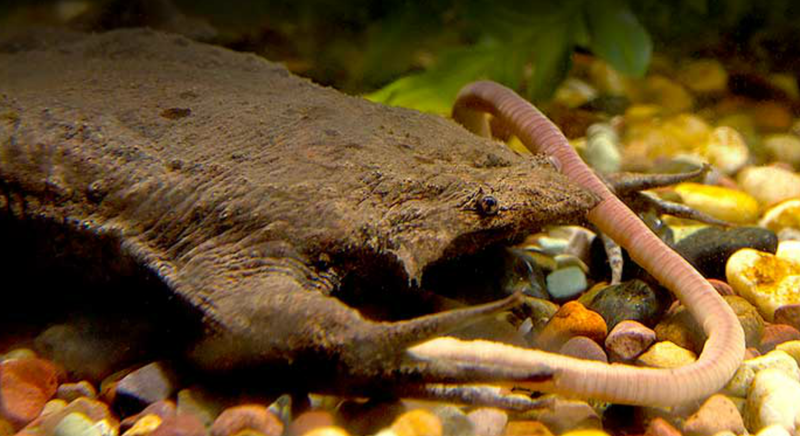 The Suriname sea toad is flat and gives birth out of its back! 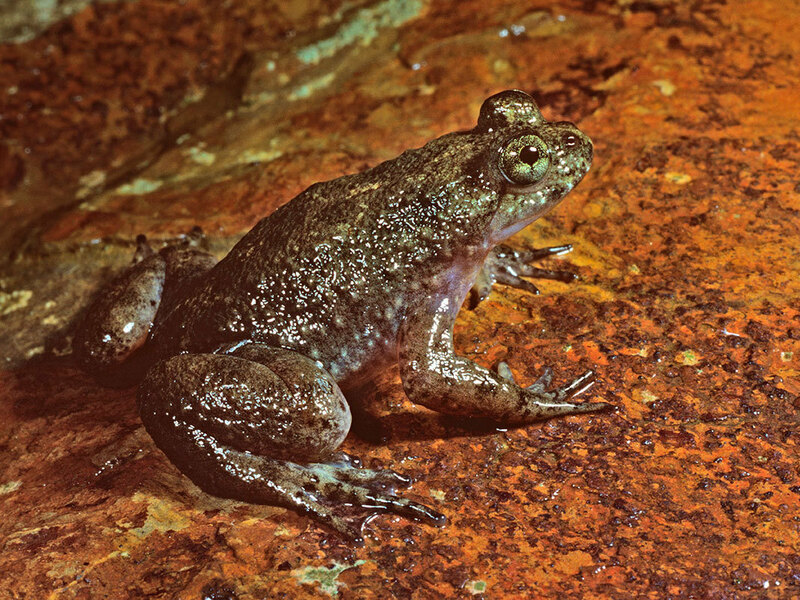 The female toad’s offspring develop from eggs to frogs underneath her skin. No joke, the video below could actually make me vomit, so I’m just going to leave it below for your creepy viewing pleasure. This species is famous for its reproductive abilities. 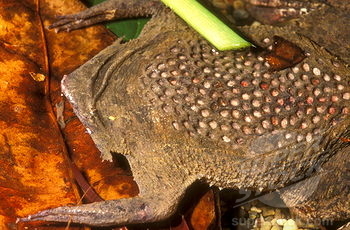 The female Suriname toad can carry up to 100 eggs in her back – forming an irregular honeycomb design. The male toad produces a sharp clicking noise by snapping the hyoid bone in its throat, which attracts a nearby partner. 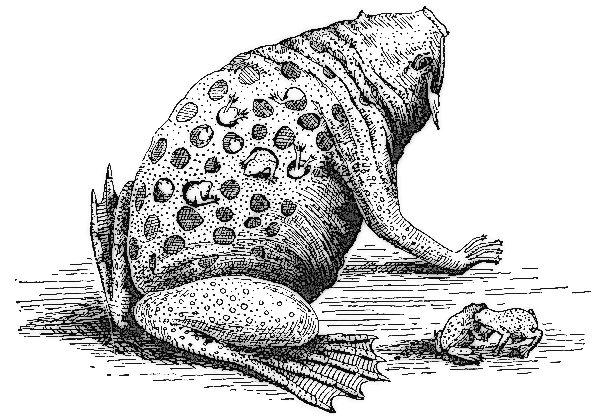 The female rises from the floor –> the male mounts her back –> they begin flipping through the water –> the female releases eggs with each flip –> the male fertilizes them before he helps embed the eggs in her skin. Once the eggs are implanted, a film forms over them, creating protective pockets (gross). 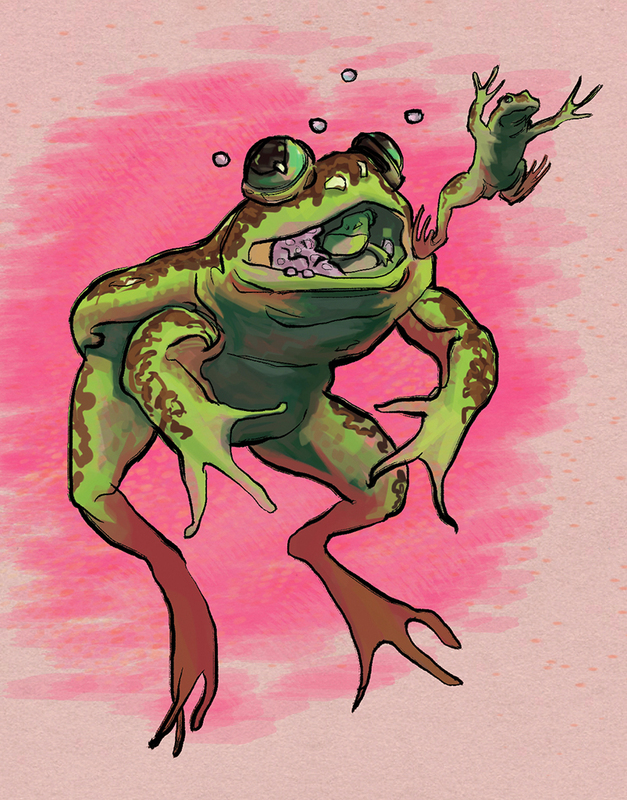 Four months later, the fully grown frogs punch their way through the skin to freedom.